July 26, 2014, part 1 of 2. July 26, 2014, part 2 of 2. Today we are joined in the 2nd hour by broadcaster and journalist Max Igan, who gives us a very personal picture of Gaza. 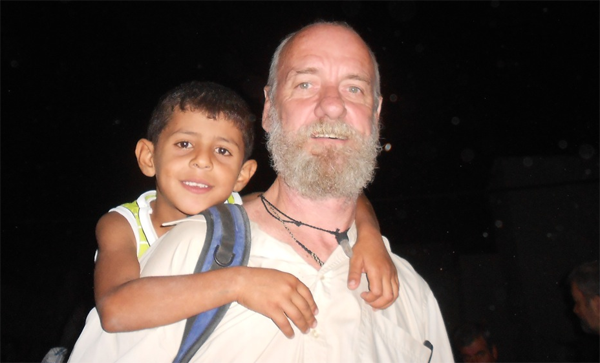 In 2012 Max travelled to Gaza with filmmaker and activist Ken O'Keefe. In our interview today Max describes some of his experiences. He also describes in painful detail the suffering currently being endured by the people of Gaza. In the 1st hour we take a good hard look at the relationship between Hamas and Israel, and we advance evidence to show that Hamas has been from its inception a pawn in the "great game" of empire which Israel and the west are playing in the Middle East.